Incontrovertibly, it was a woman’s world, with the First Lady of Sierra Leone, Mrs. Fatima Maada Bio, on Thursday, March 14th, 2019. The laughter and greetings got my attention as we waited in the lobby of the Lexington hotel in New York City. Swinging my head towards the glass doors of the prestigious hotel, at the far end was the First Lady of the Republic of Sierra Leone, Mrs. Fatima Maada Bio, with the SLPPNA New York Chapter members, mostly women. She was soft-spoken to everyone she met waiting on her. It was my second time meeting her face-to-face, in New York. My first was when she received recognition at the Global top 100, most influential women of African descent under 40 years. She wasted no time leading her guests to her bedroom suite for an informal meeting. Her modesty made everyone relaxed as we all took our seats, in her living area. Mrs. Bio had figured prominently in the political arena. Her advice and opinion of politics to her husband, the President of the Republic of Sierra Leone are noticeable. In the area of policies and most especially, the “Hands off our girls” campaign launched in December 2018, she is creating impact. The First Lady, was in New York to attend the United Nations General Assembly (Women in Power), March 2019, among other events. At the UN, the First Lady’s soft-spoken voice did not prevent her from leaving a mark at the United Nations General Assembly (Women in Power), March 2019. 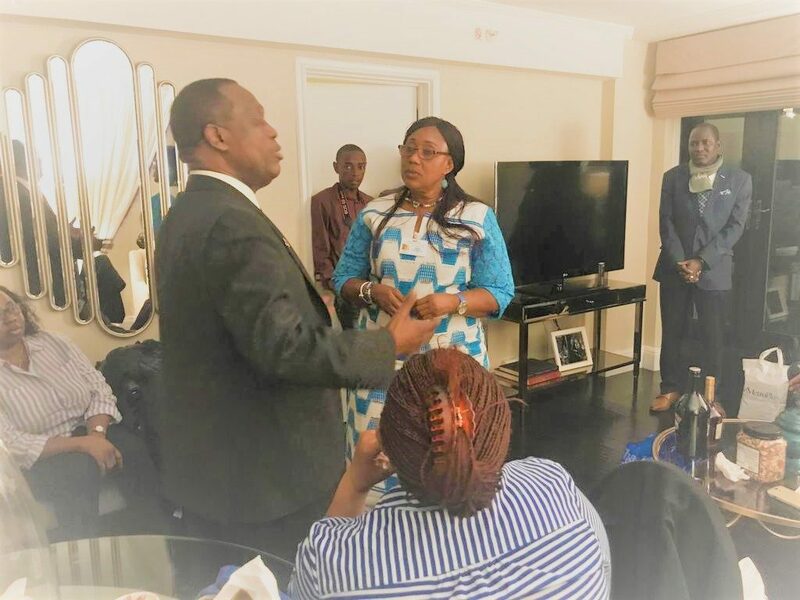 Dr. Francis Kaikai, Sierra Leone Permanent representative to the United Nations, said, the United Nations wanted to give Mrs. Bio a global stage by bringing her into the United Nations. To this announcement, the guests in the room, mostly women, applauded to honor the First Lady, who is permanently leaving a legacy, which no other First Ladies of Sierra Leone had acquired, by exercising interpersonal influence and expressive delivery of Sierra Leonean women’s issues. Earlier in the room, the SLPPNA New York Chapter Chair, Mrs. Julia Hawa Conteh, addressing the audience and particularly Mrs. Bio, introduced her chapter members present. She wanted the First Lady to know that her and her husband the President of the Republic Sierra Leone, Rtd Brigadier Julius Maada Bio, was a union put together by God for a reason. 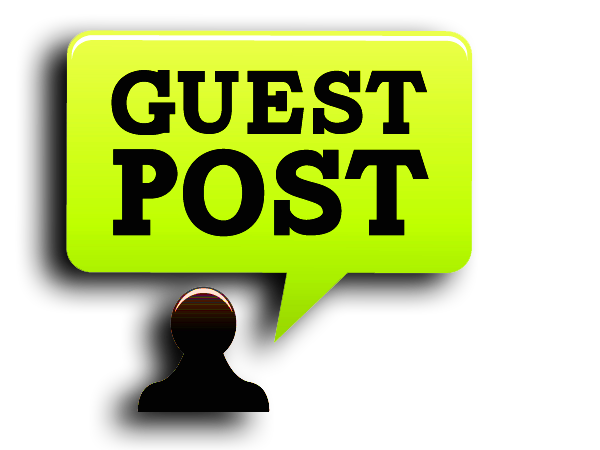 Sierra Leone is benefitting, manifested in their trips to the USA, Mrs. Conteh went on. As part of the tradition in Sierra Leone’s culture, a small token of appreciation was presented to the First Lady on behalf of the Chapter, by Mrs. Conteh. Elder Mr. Alfred Jamiru on behalf of the SLPPNA New York Chapter, welcomed the First Lady with a symbolic bottle of water, as water is life and later poured the libation, a Sierra Leonean customary action. The Minister of Social Welfare and Gender, Mrs. Baindu Dassama, who was part of the Sierra Leonean delegation to the UN General Assembly (Women in Power, March 2019 Conference ), admonished all to stop the infighting as 2023 is her focus and should be everyone’s, since it will be National elections in that year. 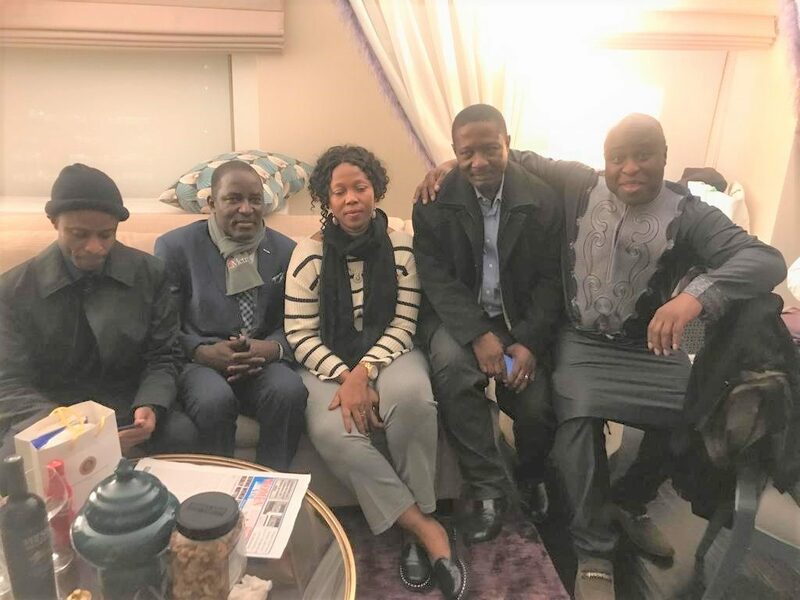 Responding to her guests, the First Lady Mrs. Fatima Maada Bio, thanked her guests and that she appreciated the gestures by the New York Chapter and all their support, since her arrival in New York. Mrs. Bio outlined her plans from “The hands-off our girls” campaign to FGM and other women’s issues. 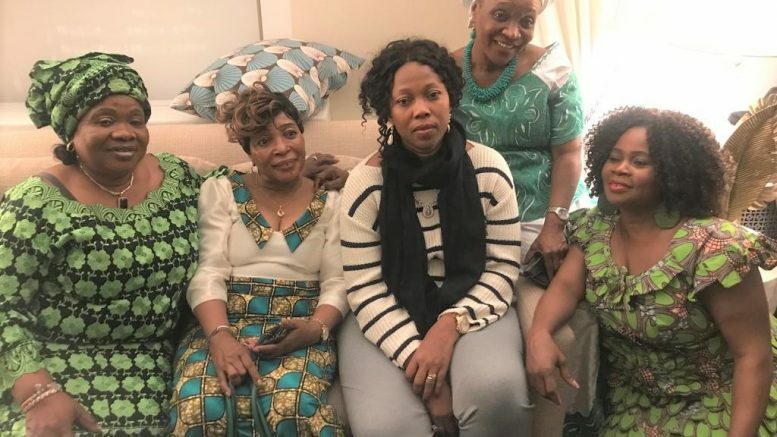 She gave an open invitation to all, stating that her doors were always open and in conclusion, she appealed to all, to go back home and rebuild Sierra Leone. Among the guests were the two Deputy UN Representatives/Ambassadors, Mrs. Victoria Sulemani and Mr. Michael I. Kanu. Also present was the former SLPPNA Regional Organizing Secretary, Mr. Ishmail Taylor Kamara, who is the Publicity Secretary of New York Chapter. SLPPNA New York Chapter Women’s Leader Madam Zainab Wai, and her Deputy, Madam Doris Allie were also present. 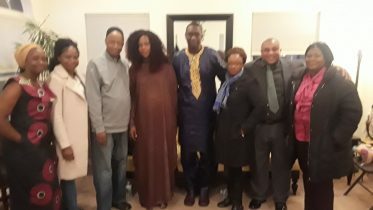 Elder Kadie Mansaray, Elder Steven Kebbie and, Kadija Kamara, who sang a fantastic song, Madam Fatmata Kebbie, Madam Yema Tucker and the SLPPNA Publicity Secretary, Madam Geneba BM Koroma, were also in the room. The laughter and joy from the beginning of the meeting continued into the nights, as the New York Chapter, enjoyed the company of Mrs. Fatima Maada Bio, who had, in the last two weeks in the United States of America, was able to captivate her audience with the agenda of her country, Sierra Leone – from California to New York. It was a mutually beneficial relationship with the First Lady who got to place names with faces, for the first time. Others, she had met, several times and vice versa. Be the first to comment on "With Fatima Bio, It Was a Woman’s World, After all"